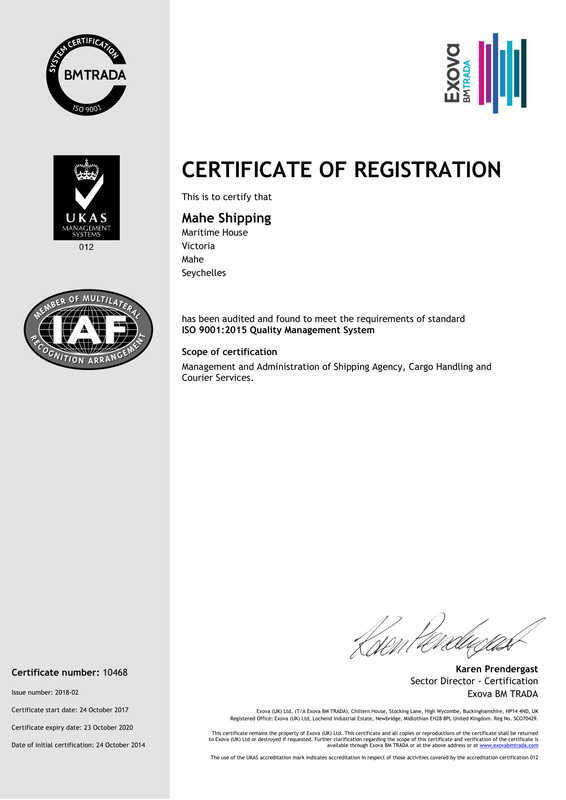 Mahe Shipping Company are members of the Corvina Investment Group, incorporated in Seychelles in 1995. Corvina has a wide portfolio of investments in Seychelles including in shipping, tourism, retail, manufacturing and insurance. For more information of the Corvina group, visit the website here. Other subsidiary & associated members of the Corvina Group include the following Seychelles registered companies. 7°South Ltd is at the forefront of tourism with the fastest growth rate in Seychelles. Bunson Travel (Seychelles) Ltd are IATA agents and market air tickets and other packages. Both companies complement the services of Mahe Shipping in providing valuable services for visiting ships. Silhouette Cruises Ltd offers island-hopping cruises aboard two traditional Dutch-built schooners and two modern luxurious sailing yachts. The vessels can also be chartered for tailor-made cruises. The company also operates an expedition vessel capable of remaining at sea for long periods. H Savy Insurance is the market leader in Seychelles and the only privately owned insurance company. Mahe Shipping, together with Corvina Investment Company, hold a controlling interest. Other partners are Harry Savy & Company and Mauritian Eagle Insurance. Contact the company directly by email, tel +(248) 4322272 or visit the website. Liquid Air (or LASEY) are the leading gas manufacturers and suppliers in Seychelles. Presafe Services are the leading suppliers of fire extinguishers and safety equipment. Corvina's largest investments in recent years have been in 5-star hotels. The exclusive 5-star Lemuria Resort with the only 18-hole championship golf course in Seychelles opened in 1999. Just 5 minutes from Praslin airport it enjoys an idyllic location. In 2010, Ephelia Resort opened on on Mahé at the edge of Morne Seychellois National Park and overlooking Port Launay Marine National Park. Other group subsidiary or associated companies include Mahe Investments Ltd, Indian Ocean Marine Ltd, Kingsgate Investments Ltd, Landmarine Ltd, Seychelles Maritime Services Ltd, Societe Seychelloise de Navigation Ltd and Victoria Properties & Investment Co Ltd.